To shed light on this question, an interdisciplinary team of experts from the Helmholtz Zentrum München was formed that included the mathematicians Lisa Bast and Carsten Marr as well as stem cell researchers Dr. Filippo Calzolari (now Institute of Physiological Chemistry at the University Mainz) and Professor Jovica Ninkovic. "Our approach utilised what are known as confetti reporters to perform lineage tracing: In mouse brains, we induced individual stem cells and all their descendants – called clones − to light up in a specific colour", says Filippo Calzolari. In this way, the scientists could distinguish clones over time by the different colours that give the technique its name. 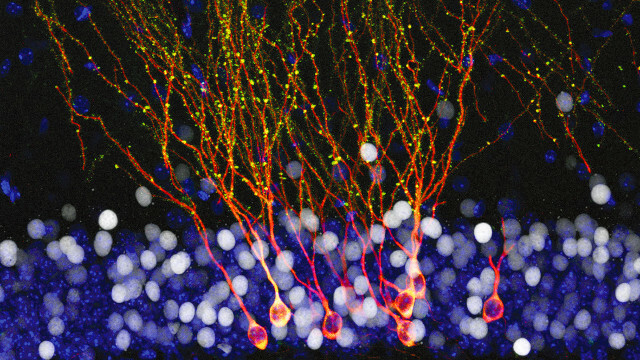 "In the next step, we compared clones found in young and older mice to find out what contribution individual stem cells and intermediates make to the neurogenesis of mature olfactory cells", Calzolari adds.